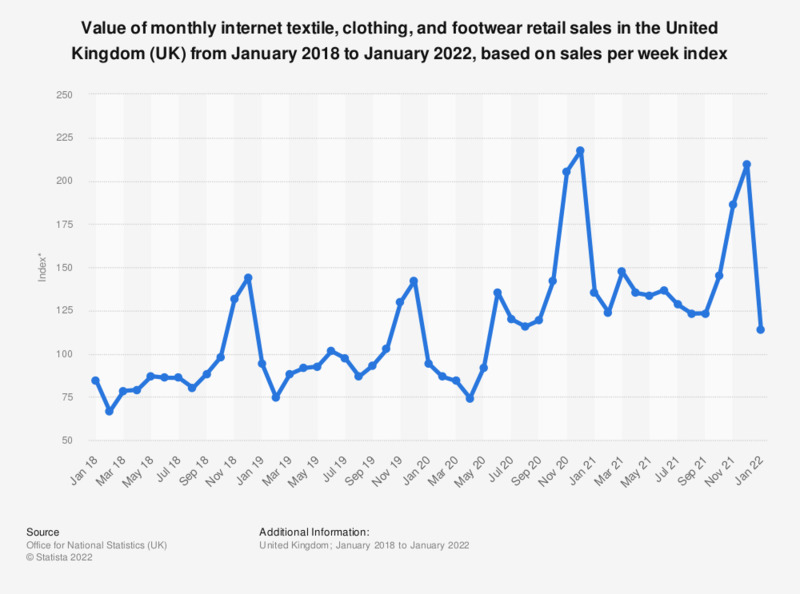 This statistic displays the monthly internet retail sales index of textiles, clothing and footwear products in the United Kingdom (UK) from January 2013 to November 2017. Internet retail sales in this category had an indexed value of 138.9 in November 2017. * Value is seasonally adjusted. Value at current prices. ** Index 2015 = 100. How important are production conditions when you choose clothes for yourself?